Here are this week’s seven cool gadgets. Did you see last week’s edition of Gadget Monday? A company called Parans has come up with a way to bottle sunlight and deliver it inside office spaces or homes as natural lighting. The concept is remarkably simple yet works wonderfully. They have sunlight collectors sitting on the roof or exterior walls of a building. They look like this. The light then gets concentrated and carried through special fiber optic cables created to preserve all of the light’s characteristics. These cables are then connected to special light fixtures that diffuse the natural light indoors. 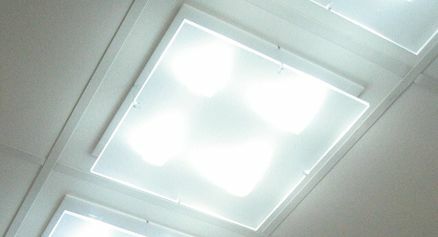 They can be panel lights or floodlights. 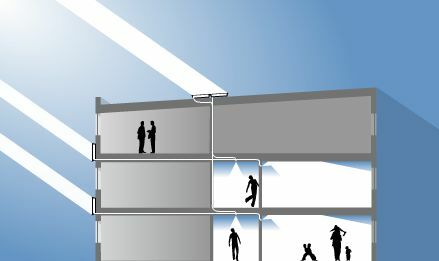 With this new lighting method, employees or home owners get all of the benefits of natural sunlight in rooms where they normally can’t get it and don’t need to spend money on electricity or electric lighting appliances. I’m not sure what the cost is, but I’d love to see companies take up this new lighting method. Just think, all those employees sitting in tiny cubicles under fluorescent lighting, not seeing the light of day, all day long, all week long, could instead be bathed in natural light, which would cheer them up and boost their productivity. Images used courtesy of Parans. Someone has come up with this world clock, built in Flash. 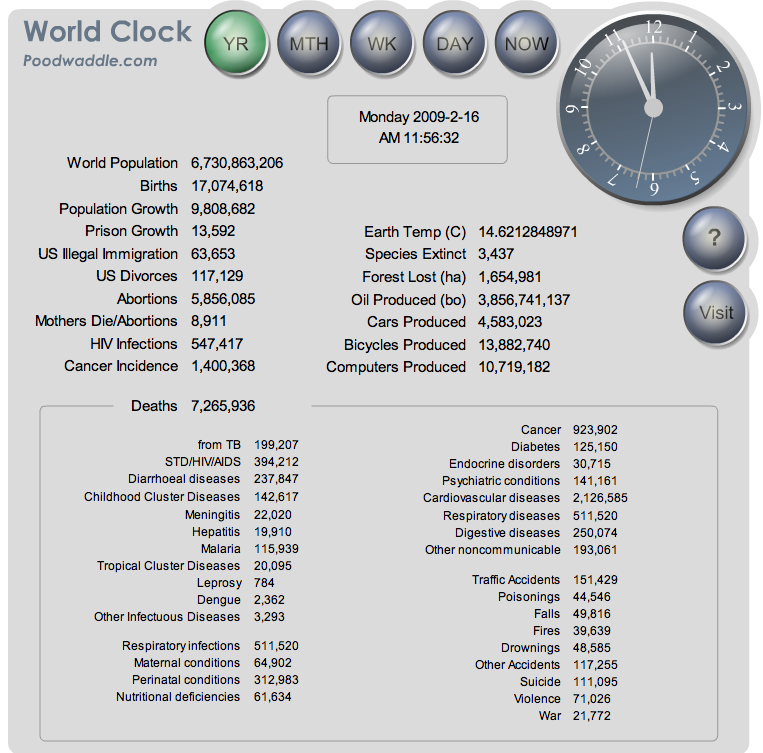 It shows the time of day where you are in the world, but it also lists all sorts of important statistics, like world population, births, population grown, divorces, cancer incidence, forest lost, species extinct, and deaths. The death statistics are interesting because they’re broken down by reason, such as TB, AIDS, malaria, cancer and others. You can click on buttons that re-calculate the statistics per year, month, day or now. It’s definitely worth a look. 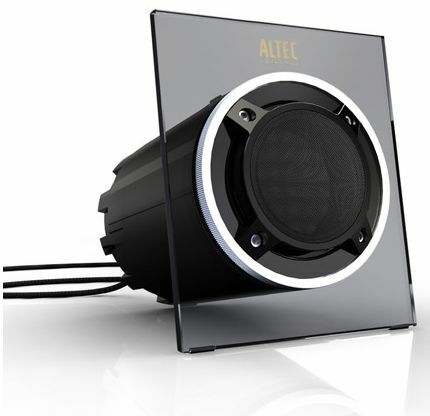 These speakers would go great with an iMac or an all-in-one PC. 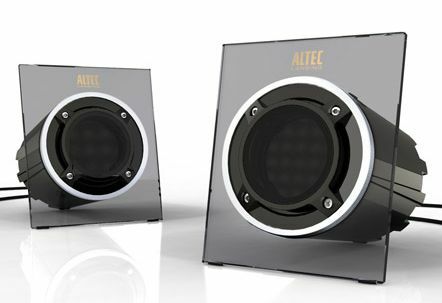 They have a clear, square face that holds the cylindrical enclosure for the speakers. They connect to your computer through a regular 3.5mm audio cable, and they have an auxiliary input for iPods or other MP3 players as well. The output is 7.5 Watts per channel. This little device, slightly bigger than a C battery, will turn any USB external drive into a network drive. 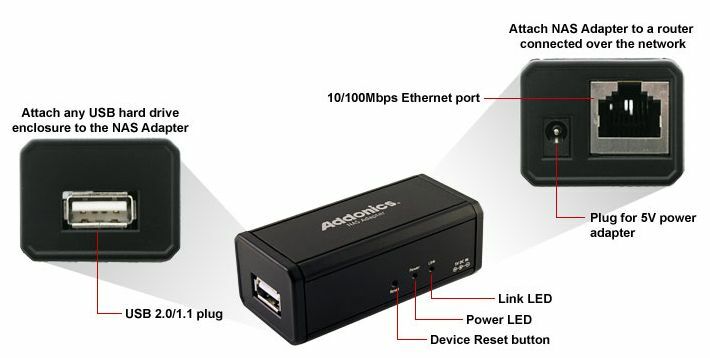 You simply plug the USB cable into the Addonics NAS Adapter, and you connect the adapter to your router with a standard network cable. 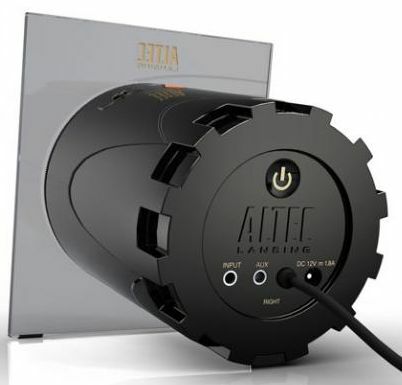 Its USB port is powered, which means you can even plug in a small portable USB drive, and you won’t need to worry about connecting it to a separate power supply. 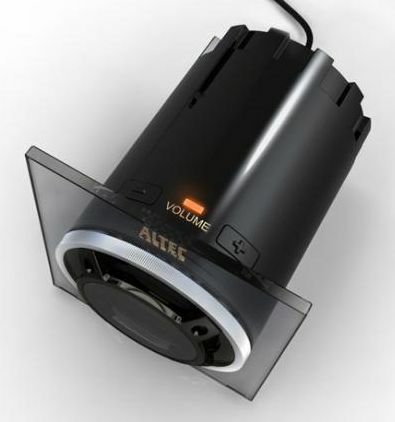 The adapter is compatible with any version of Windows, Mac OS X and Linux (2.6.x and higher). It supports the Samba protocol for up to 64 clients, has a built-in FTP server for up to 8 clients, and can be used as a print server or Bit Torrent client. You can manage it through its built-in web interface. The best part is that it retails for only $55. At that price, it’s a must-have. This new turbine, created by Massachussetts-based FloDesign, uses jet engine aerodynamics to extract more energy from the wind. It is still a horizontal axis turbine, but its patent-pending design focuses air flow and speeds it up, which means its blades can rotate at lower wind speeds. Because it uses jet engine technology, which is an enclosed design, this means it can also rotate at much higher speeds, and is also safer to be around. 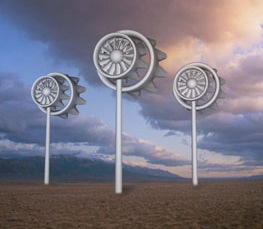 The blades orient themselves to the wind automatically because the turbine is equipped with a fin that acts as a windvane. The product hasn’t launched yet, nor is the company taking orders yet, but I for one look forward to seeing this on the market. There’s also a demo video on YouTube, which explains the technology in more detail. 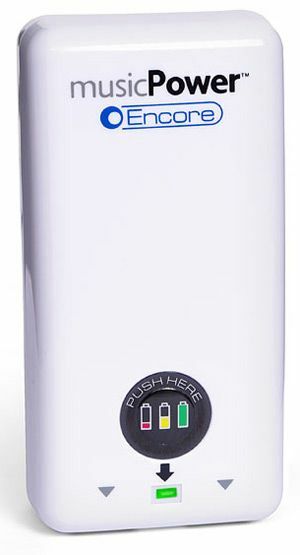 This neat gadget has rechargeable batteries inside. 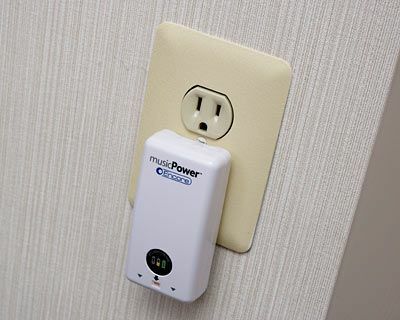 You plug it into an outlet while you’re at home to recharge its batteries, then take it with you while you travel. If you run out of juice for your iPhone or iPod, you simply plug those devices into the musicPower Encore, and they recharge using the energy stored inside. It’s a neat way to transport the energy you need to keep your toys working. It sells for $20 at ThinkGeek. The next-generation SD cards, called SDXC (Xtended Capacity), will have increased storage capacity, up to 2 TB, and will have increased read/write speeds as well, anywhere from 104-300 MB/sec. The official specs are due to be released by the SD Association in Q1 of this year, 2009. A 2TB SDXC card will be able to store about 480 hours of full HD recording, or about 136,000 high-quality photos. 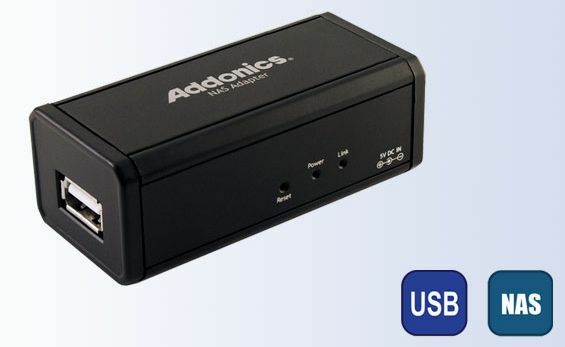 Keep in mind the USB 3.0 spec has also been released recently, which means we’ll have USB 3.0 card readers. We’ll be able to store and transfer more data than ever before. I for one wonder if CF cards will continue to be the staple storage device for DSLRs, or whether SDXC cards will replace them altogether. That Parans natural lighting is such a great idea!! I work in a very old office building that was converted from a factory. The area I sit in gets no sunlight… it was be awesome to get the feeling of natural sunlight there! Thanks for the article!! 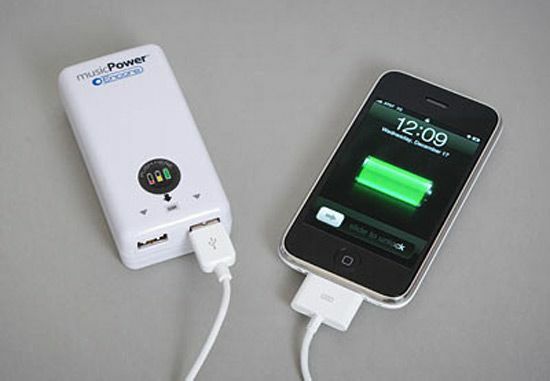 All these gadgets are really cool, especially I like musicPower Encore Portable USB Power Supply, because I always use my iPod and while traveling it is very hard sometimes to charge the battery.